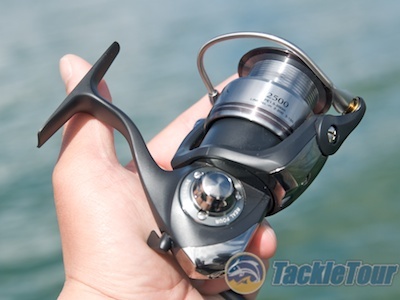 Introduction: The lines between JDM and USDM with regards to baitcasting reels by the two giants, Daiwa and Shimano have been blurred over the last several years. 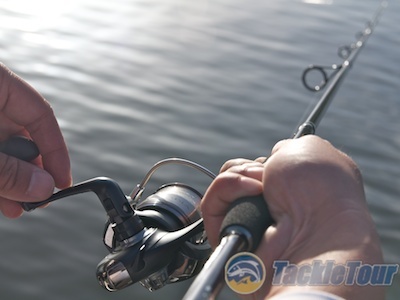 No doubt the declaration of largemouth bass as an “unwanted” species in Japanese waters has led to a shift in recent thinking and manufacturers are turning their attention to North America where bass fishing is at an all time high in popularity. 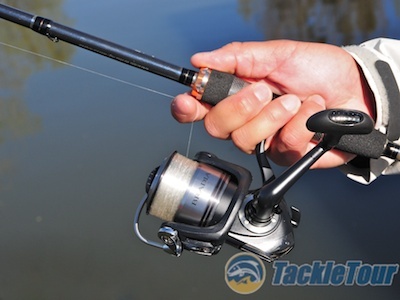 If there is indeed a shift, however, progress has been slower with spinning reels - specifically, Daiwa’s spinning reels. Introducing the Daiwa Bradia (2500). Sure, we have our version of the Exist, the US Steez, but the Japanese Steez spinning reel is even stealthier. The first Daiwa spinning reel that could be directly translated between the two markets was the Certate introduced around 2005 and this holds true to today. The US Fuego and Sol have some vague resemblance to the Luvias and old Caldia Kix but Daiwa USA has nothing in the States that resembles Certate Hyper Custom, Exist Native Custom, Exist Steez, Presso, Ingis, or even the Exist Hyper Branzino. Perhaps the reason for this could be traced to the range in cost of these reels which is from just over four hundred dollars to close to one thousand dollars. 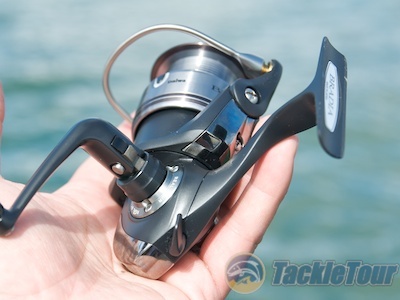 This is pretty strong evidence the premium Japan’s anglers must place on spinning gear if Daiwa Japan is able to offer such a diverse, high end lineup of reels. The US lineup is almost an embarrassment by comparison. Somehow, a shipment of these reels found their way to the US Market. They're selling for below JDM retail, but are they worth the fervor? Impressions: The Bradia looks very much like an understated Certate. It shares the same body only without the dark metallic blue paint and minus two bearings. Quite honestly, this reel looks like it’s intended much more for the US market than it is for Japan. It is very stark and plain. 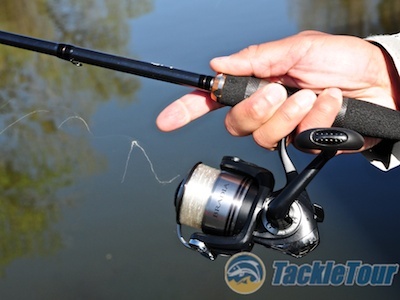 Field Tests: I paired this reel up with another non-US market rod, a Rapala Canada Shift spinning rod and spooled it up with some ten pound Seaguar Tatsu Fluorocarbon line for field duty. Our primary destination? Clear Lake, California. The Bradia does not sport the reverse taper spool so common in Daiwa's lineup to help deal with fluorocarbon nor does its spool have a titanium coated lip to aid in casting. 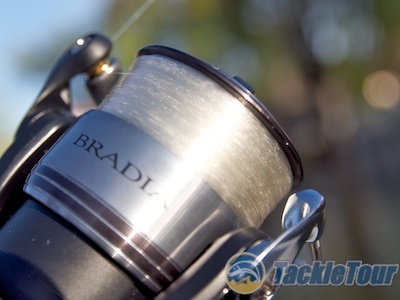 Spool Design: The Bradia model we acquired for testing is the 2500 – a good general size for bass fishing with a prototypical deep spool instead of the usual shallow spool found on most JDM models. Unless it is so slight, my eyes cannot see it, the spool has no taper for fluorocarbon lines and is missing the usual titanium coating on the lip. Despite these design shortcomings, it casts fine and actually handles fluorocarbon quite well. Line Management: Out on the water, none of this seems to matter really as the Bradia cast my shakey head offerings just fine. Management of the ten pound Seaguar Tatsu Fluorocarbon was very nice as well with minimal line twist and tangles issues. All in all casting and line management was very good. 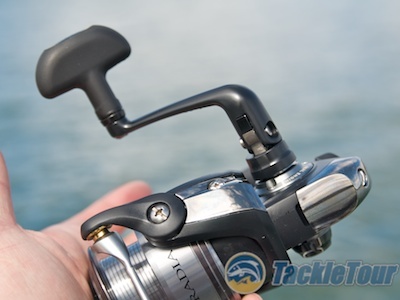 Smoothness of retrieve is acceptable but not quite up to what I'd expect on a $300 reel.